HomeAny way you slice it, Google continues to dominate the search ecosystem. 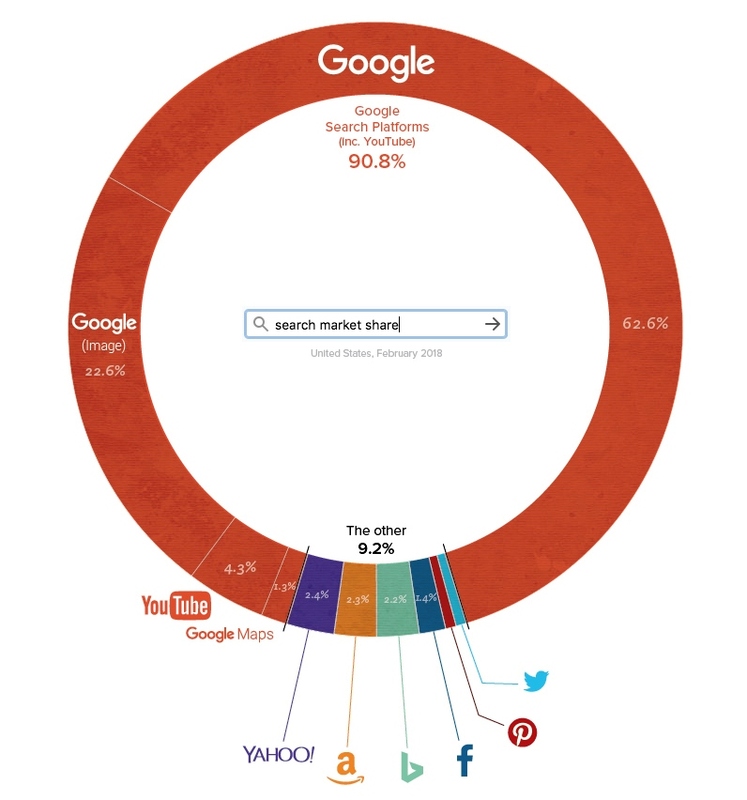 Any way you slice it, Google continues to dominate the search ecosystem. Just how big is Google in the world of search? I’ve seen percentages that are all over the map, but one thing is undeniable: Google remains the overwhelming leader in search. And it isn’t even close. Runners-up in the search engine derby include Bing/Yahoo and DuckDuckGo, but they’re so small so as to be mere asterisks at the bottom of the page. … Which might be surprising to some. 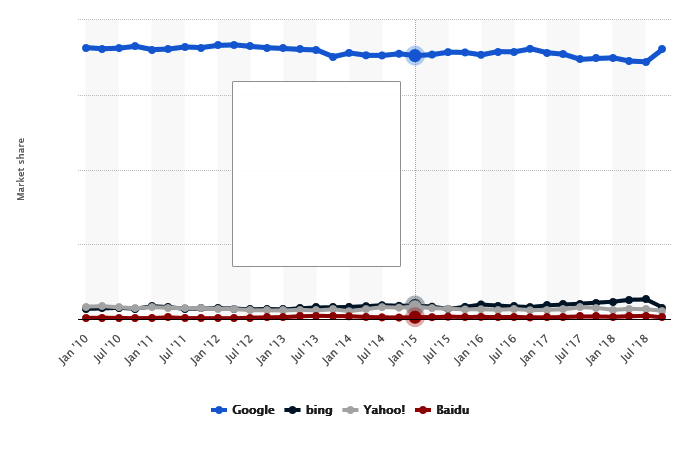 After all, as late as 2015 comScore was reporting that Google’s market share of desktop search was running around 64%, whereas the Bing family of search products (including Yahoo and AOL) was tracking in the low 30s. But it’s all in how you make the calculations. At the very same time, Statista was reporting that Google’s worldwide share of desktop search was approximately 89%. But I think it’s the data from marketing intelligence and analytics firm Jumpshot that gets us closest to what’s actually happening in the world of search. Jumpshot licenses anonymized ClickStream data from hundreds of millions of users. It finds that ~63% of all online searches are through Google’s “core” function. But then one needs to factor in additional Google-related search activity that occurs on Google Maps, Google image search and YouTube, which is owned by Google. When those figures are added to the mix, Google’s market share of search is indeed in excess of 90%, with all other players way, way behind. Source: Jumpshot (based on ClickStream data), 2018. These dynamics explain why Google remains so entrenched – and why advertisers continue to devote so much of their search engineering advertising dollars to Google properties. A “constant” in Google’s market strategy over the years has been to make it easy and effortless for users to perform a Google search wherever they are. In years past, that meant making Google the Home Page on as many Internet browsers a possible. In more recent times it’s taken the form of building activity on Google-centric browsers (Google Chrome), mobile market share (Android), acquiring the dominant video platform (YouTube), and making a major push into voice search with Google Home. 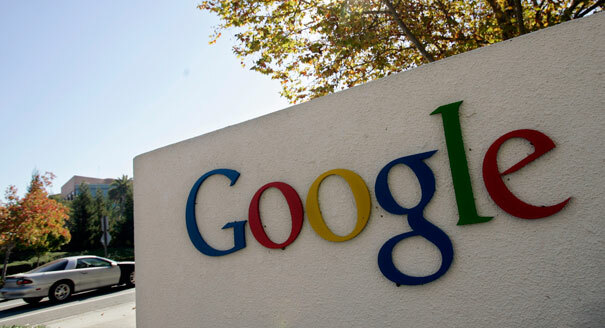 In case anyone is counting, Google processes an eye-popping 3.5 billion searches per day. Is it any wonder that any competitor – even a platform like Bing with resources to spend – would have a near-insurmountable challenge getting millions of people to just try a different search option (much less start using it regularly). Could the situation change? I suppose nothing is immutable. The market share figures don’t yet factor in iPhone data at scale. Some other search product might emerge that is dramatically better-performing than Google. But none of those factors are likely to change the overall search ecosystem. The fact is, Google dominates search … it has dominated search for years … and it’s on track to continue doing so in the future. I close with a question to readers. If any of you prefer using a different search product besides Google, please share your reasons why in the comment section below. ← Klout’s gone (thankfully) … but get ready for Skorr. Google is what economists call a naturally occurring monopoly. Part of its function is to be, with few exceptions, the only tool people will turn to. You may argue about the priority of search results, but your searches succeed precisely because Google reaches just about everyone and everything without too much competition. It has become the way we agree to do things — like driving on the right side of the road or using the QWERTY keyboard. Turning to one of the other search engines is like going to Japan or England and having to drive on the left, or like using a foreign alphabet, or like discovering that the hot water in your hotel bathroom comes out of the right tap instead of the left. It is inconvenient to change habits, even when there is no objective reason why it should matter. Indeed, I’m sure many people would argue the world would be a better place if we all used the same lettering and drove on the same side of the road. For historical reasons that is obviously very difficult. But computing and the Internet are much newer. Having Google there for us all as an effective superhighway for the world is hardly to be complained about!